Outdoor cinema experiences that are second to none. 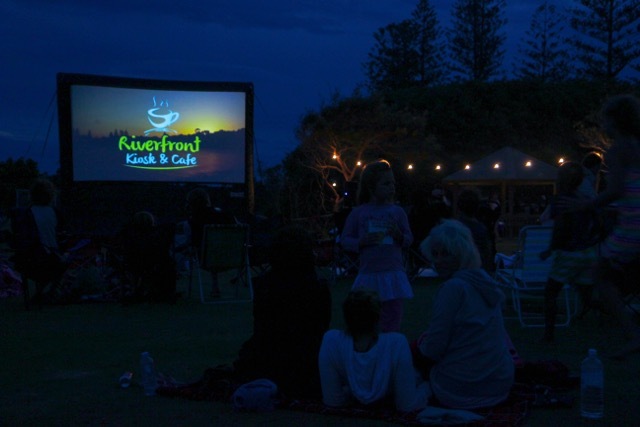 Storm Boy Productions offer an outdoor cinema experience that is second to none. We have a breadth of experience to draw on to ensure that your outdoor cinema event meets and surpasses expectations. We can provide 4m to 18m Airscreen packages to suite a range of event types. From an intimate school fundraiser to a Drive In cinema, we have the ability to customise our services to meet our clients’ needs, no matter the size of the production. At Storm Boy Productions we only work with the highest quality Airscreen product. The quality of our inflatable screens, matched with best cinema audio, will be sure to create an impact every time. We strive to create a cinematic experience that is more than simply a film screening and which can incorporate the inclusion of sponsorship advertising as part of a fluid and seamless visual and audio production. We will work with you to frame and theme your outdoor cinema event to match your vision, creating an atmosphere that will leave your audience well satisfied.